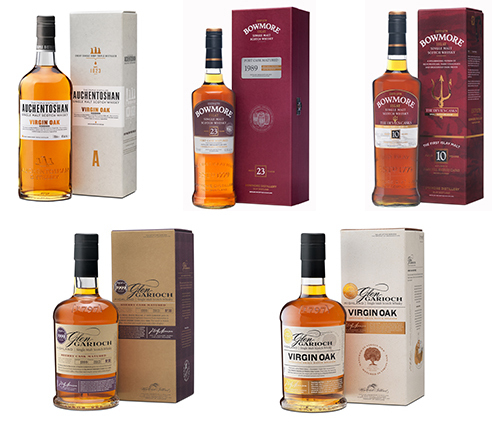 Morrison Bowmore Distillers (MBD) have announced a range of five limited run whiskies from Glen Garioch, Auchentoshan, and Bowmore in Singapore. 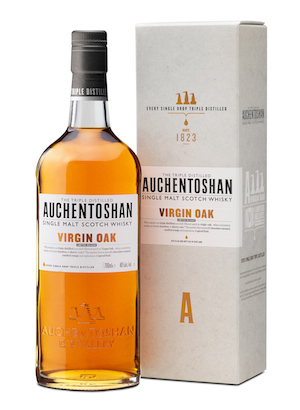 While these were released elsewhere at various times, and even as early as last year, MBD and Beam Global Asia have finally made them available for sale here: Auchentoshan Virgin Oak, Bowmore 23 Years Old Port Matured 1989, Bowmore The Devil’s Cask Small Batch Release, Glen Garioch Virgin Oak Artisinal Small Batch Reserve, and the Glen Garioch Vintage 1999 Sherry Cask Matured. Gordon Dundas, the Global Brand Ambassador for MBD, flew into town recently for the launch. The new whiskies from MBD, while having very different characteristics, all share a same trait: they are styles that aren’t usually showcased in their regular lineup, so you can now try not-so-common variants of your usual favourites, like a full-sherry Bowmore, for example. While these whiskies aren’t cheap, we think that they certainly have enough character to pique your interest. All the same, we asked Gordon Dundas to share with us what makes these new whiskies different. SSG: What inspired the creation of these limited editions? Virgin oak casks are also known as fresh American Oak casks. They are heavily charred, more so than European casks. Check out this informative video on how American Oak casks are made. GD: We want to create a great and diverse range of limited editions but simply what inspires them is each distillery and the new make along with innovative cask maturation. Whether it is full Sherry cask maturation in the 1999 Glen Garioch vintage or Bowmore Devil’s Casks, or fantastic Virgin Oaks from Auchentoshan or Glen Garioch, they all offer the consumer something different and highlight each distillery’s style wonderfully. 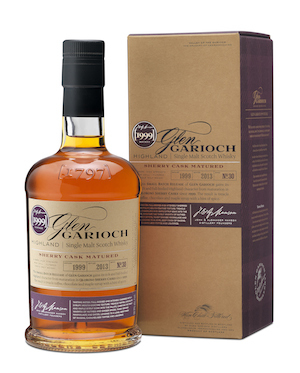 SSG: These are matured fully in their respective casks, as opposed to a finishing process that some distilleries use. Was this a conscious decision to differentiate? GD: We want to produce the best limited editions and for these particular expressions, full maturation provides this. 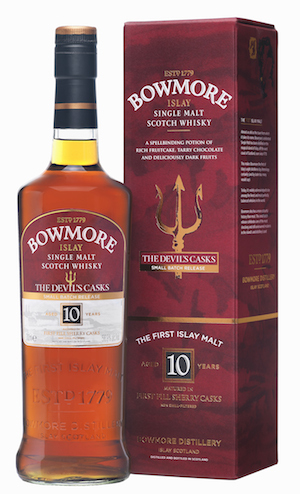 I do not think it was a conscious decision at all as finishing is a great option which we have used in the past and we do finish whiskies such as the Bowmore 15YO Darkest. There may well be finished whiskies too in the future so we use all kinds of maturation to provide the best whisky to the consumer. 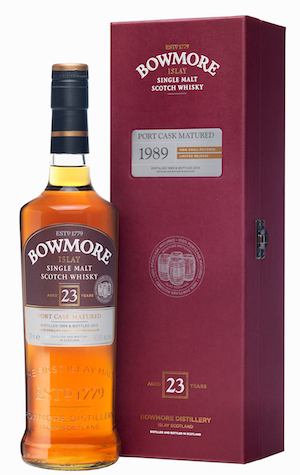 SSG: The limited editions, such as the Port-matured Bowmore, feature casks that are ‘non-standard’ in the context of your regular lineup – will these stay as one-offs, or will they eventually become regulars? GD: I am sure they will stay as limited editions, as access to these casks is limited so therefore the quantities we can produce is limited. Also of course the casks were filled in 1989 so nothing happens in a hurry in whisky. SSG: Do you foresee more wine casks or virgin oak casks becoming ‘status quo’ maturation barrels? GD: I think there is more and more experimentation going on and certainly wine cask and virgin oak can easily be used more. They both produce such difference in the spirit over time and of course the different wood types too. I still think they will be used in limited quantities. 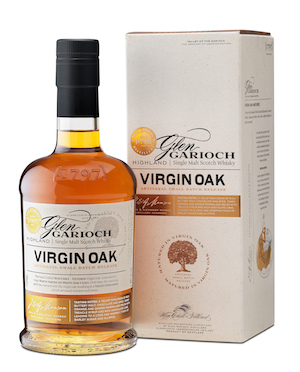 SSG: The virgin oak bottlings have no age statement – is that a conscious decision or done out of necessity (i.e. tastes better when maturation period kept within certain period)? GD: Simply, with putting new make spirit up against new char (ED: new American Oak casks), it is a bit of balancing act. It is easy to get too much wood influence quite easily so we need a variety of ages to ensure that the balance is there. I think both have come out superbly, highlighting how diverse Virgin Oak can make a whisky from the Lowlands and Highlands! SSG: In your opinion how important is the age statement for whisky? GD: I think the quality of wood that the whisky has been maturing in is more important. It is wrong to say that all 25YO whiskies will always be better than a 12YO. It simply is not true if you mature for 25 years in a bad cask. Also it is personal too; not everyone likes the same whisky taste or style. So my hint is to try lots of whiskies and do not get hung up on age, there are so many vibrant styles of whiskies with and without age statements. I think the other point is that you can be innovative and try new styles such as the Virgin Oaks when not constrained by the age statement. SSG: The Devil’s Cask is referred to as being ‘unusually matured.’ Is there something unusual about the process? GD: It is fully matured in first-fill Oloroso Sherry European Oak Casks for 10 years which is unusual, giving that wonderful impact on the nose and palate. SSG: Lastly, how did the name ‘The Devil’s Cask’ come about? GD: It is a tribute to a legend from the Island of Islay, but also because of the devilishly dark taste! Legend has it that the devil once visited the church in Bowmore (ED: the Kilarrow Parish Church). Now if you’ve ever seen it, you’ll know that the church is circular, built that way (so it’s said) so there would be no corner in which the devil could hide. MBD limited edition single malt Scotch whiskies are available at The Beam Cellar, located at 229 Mountbatten Road, #01-03 to 07 / #01-17 to 19, Mountbatten Square, Singapore 398 007.